The CBI had earlier claimed that Tawde was the "mastermind" of the conspiracy to kill Dabholkar and veteran CPI leader and rationalist Govind Pansare. 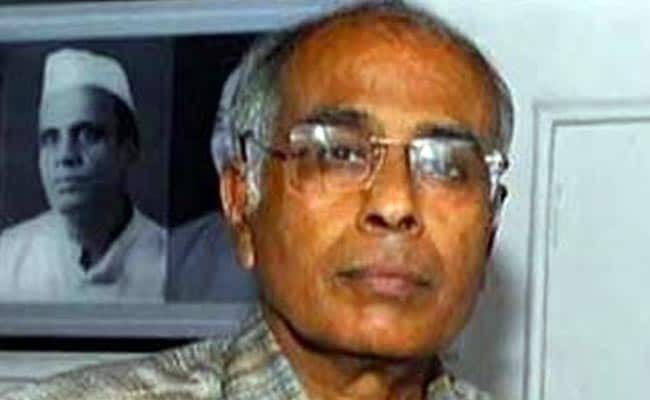 The Central Bureau of Investigation (CBI) has invoked UAPA sections pertaining to acts of terror against the accused arrested in connection with the killing of rationalist Narendra Dabholkar. The CBI made a submission to this effect before Judicial Magistrate (First Class) S M A Sayyad in Pune on Monday. "The central probing agency told the court that it has invoked sections 15 and 16 (acts of terror) of the Unlawful Activities (Prevention) Act (UAPA) against the accused persons," public prosecutor Vijaykumar Dhakane said. So far, six people, including Hindu Janajagruti Samiti member and ENT surgeon Virendrasinh Tawde, Sachin Andure and Sharad Kalaskar, have been arrested by the CBI in connection with the killing of Dabholkar. The CBI had earlier filed a charge sheet against Tawde in 2016 under Indian Penal Code (IPC) sections 120-B (criminal conspiracy) and 302 (murder), among other charges. The 90-day period for filing the supplementary charge sheet against the other five accused arrested a few months back is getting over on November 18, Mr Dhakane said. "Now, since the UAPA sections have been invoked, the CBI will get an extension of another 90 days to file the charge sheet against the accused in the case," he said. Pansare was shot at by unidentified assailants at Kolhapur in Maharashtra on February 16, 2015. He died of his injuries four days later. Besides Andure, Kalaskar and Tawde, the CBI had arrested Rajesh Bangera and Amol Kale and Amit Digvekar in connection with the Dabholkar killing case. Bangera and Kale are also accused in the killing of journalist-activist Gauri Lankesh, who was shot dead in Bengaluru on September 5, 2017.